Show everyone your magic wand. 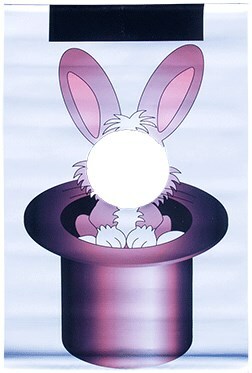 Place the wand in front of the spectator and let gravity unroll the wand revealing a digital printed picture of a rabbit with a cut out of the face. The birthday child's face is seen through the hole. Perfect comedy. Perfect audience participation. Perfect photo opportunity!